Some exceptionally designed pieces of jewelry complement your feminine charm with effortless ease, and this diamond necklace does exactly that. 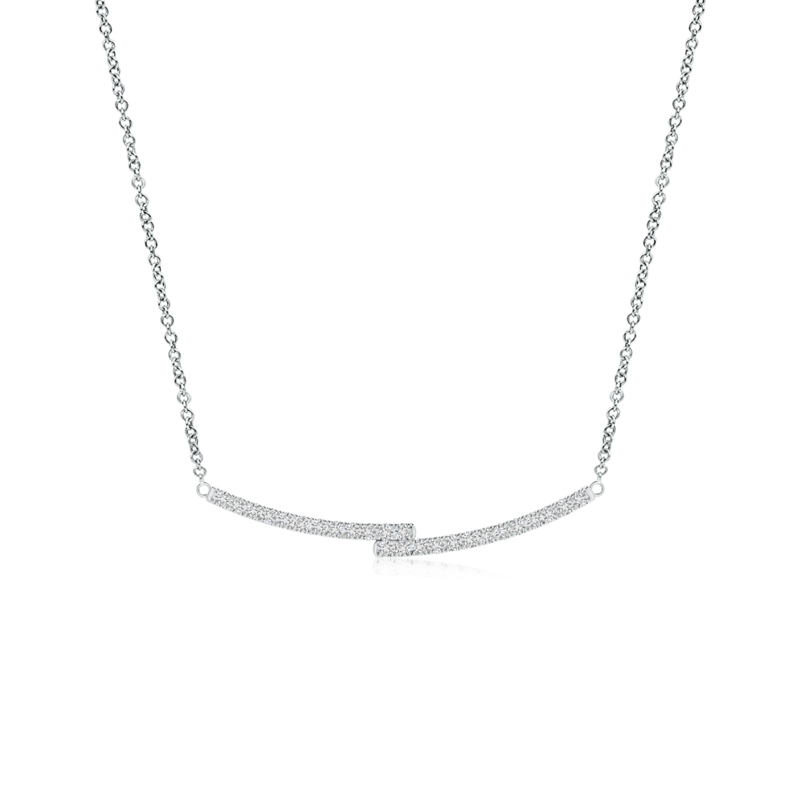 Its stylish asymmetrical horizontal double bar pattern draws focus to the brilliance of lab grown diamonds that capture attention instantly. The 14k white gold metal envelops this alluring piece of jewelry with its innate elegance, and further elevates the overall appeal. Undeniably chic and extremely stylish, this curved bar necklace is worthy of all the admiration it receives.